What is a Global Financial Manager? Businesses of all sizes are increasingly impacted by the global economy, and those organizations that want to leverage the many benefits of competing within a larger market often employ the services of a global financial manager. Financial managers are responsible for the oversight of organizations’ funds; they make sure fiscal obligations are met and help to produce plans for prudently investing excess cash reserves. Their duties become much more complex when they have to consider one or more foreign economic environments. Here are some of the specific duties and challenges of global financial managers as well as the education and training needed for this career path. One of the key duties of global financial managers is making sure that their organizations provide good returns to shareholders by carefully evaluating the market environment of every region in which the company operates. This type of systematic survey unveils both region specific opportunities and risks. For example, a financial manager who recognizes that obtaining a key raw material in their domestic market has become increasingly more expensive due to depletion of resources may suggest that the company modify its supply chain activities to purchase less expensive supplies in an international region where the company has operations. Also, part of the lure of becoming a multinational company is the opportunity to tap into large emerging economic markets. However, doing business in these markets are somewhat riskier than trading with companies in more developed economies. Historically, emerging economies have been more susceptible to higher levels of inflation and currency exchange rate fluctuations which can lead to lower yields for some global companies that try to conduct business in those markets. Global financial managers must understand their companies’ strategic goals, current financial health and the economic and political landscapes of the markets that they serve in order to direct appropriate financial activities. Many global financial managers have undergraduate degrees in finance, accounting, economics or business administration, and they gradually gain the experience to move into the role of global financial manager for their companies. Other global financial managers are hired by new companies that want to immediately participate as multinational organizations. Some of these financial managers have advanced degrees in international business or global finance in addition to undergraduate business related credentials. These companies almost always want candidates with a few years of international business experience. Besides independent and university sponsored internships, aspiring global financial management professionals can often gain exposure to their career field by joining industry associations like the International Financial Management Association (IFMA) or the Global Association of Risk Professionals. These organizations offer extensive networking opportunities with seasoned industry executives, and some members can volunteer to lead special projects for their chapters which contributes to their work experience. Additionally, IFMA offers a certification that allows employers to easily verify the level of skill and competence of their credentialed members. As nations around the world form more innovative trade alliances, it is expected that the need for international business professionals will increase. 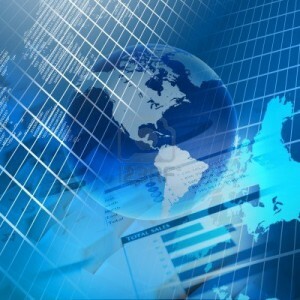 Also, some governmental leaders within developed and emerging economic markets recognize the benefits of welcoming international business concerns, and they work with respected industry organizations to establish international finance and accounting standards that will eventually make the role of global financial manager a little easier in the future.